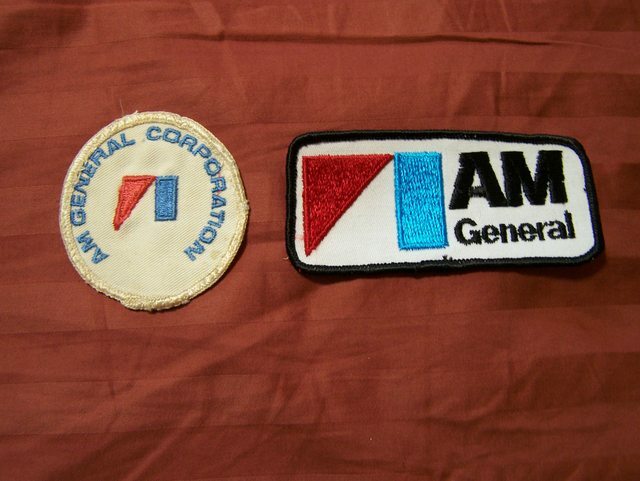 Two vintage AM General patches. The round one is used, but the other one has never been used. The rectangular one is approximately 4 1/4 inches long. 1982 Concord T4spd Wagon & 1977 Pacer DL 43K miles! Gone but not forgotten. Followed big brother into the defunct car companies. AM General is still in existence. I stand corrected. Some time ago I read an article that said with the inclusion of a commercially built military vehicle, AM General wasn't long for the world. The above link proves that story incorrect and I apologize for my error.